Recently, Facebook announced Live Video that let's you go live on Air, broadcast videos live and let's people watch you live. 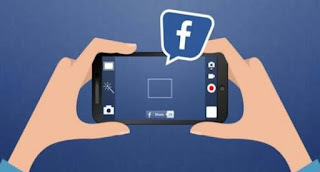 When someone comes Live on Facebook, all friends will get notified about the live video. However, there are some people who finds this so annoying and distracting. So, I'll be teaching you how you can manually turn off this Facebook Live video notifications on your phone and computer if you don't like to be notified when a friend is Live. >> If you use Android, long-press the live video notification and tap on Turn Off. >> If you use an iOS phone, slide the notification to the left and tap on the More button, then tap on "Turn off Notifications about Live Videos”. These actions will turn off Live Notifications from a specific person. >> Using any browser, go to Facebook.com and log in using your username and password. >> Locate the right-pointed arrow on the top right corner. Click on it, then click on Settings from the drop-down menu. >> Click on Notifications. Then locate On Facebook, then click on Edit. From the new screen that pops up, look for Live Videos. To the right of this option, you should see a drop-down menu with options like On, Suggestions Off, and All Off. Select All Off. After carrying out all these steps, you won't get Facebook Live video notifications anymore. I hope it's helpful? Kindly comment and share. How to disable Facebook live video notification. How to turn off Facebook live video notification. Turn off Facebook live video notification. Since ut won't start recording me immediately I come online, I don't see the problem. Except there is something else there re nor telling us.